 Santiago de Compostela is your destination! 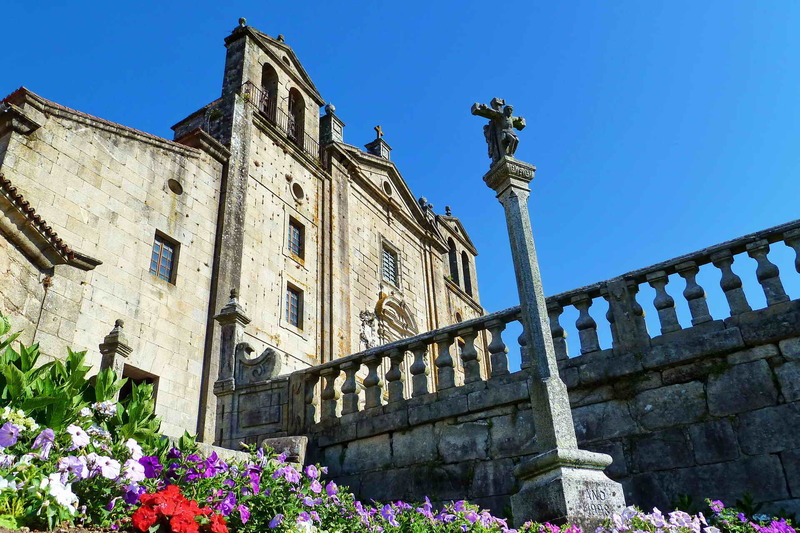 The Camino de Santiago, also known as “The way of St James”, is one of the World’s oldest pilgrimage routes. 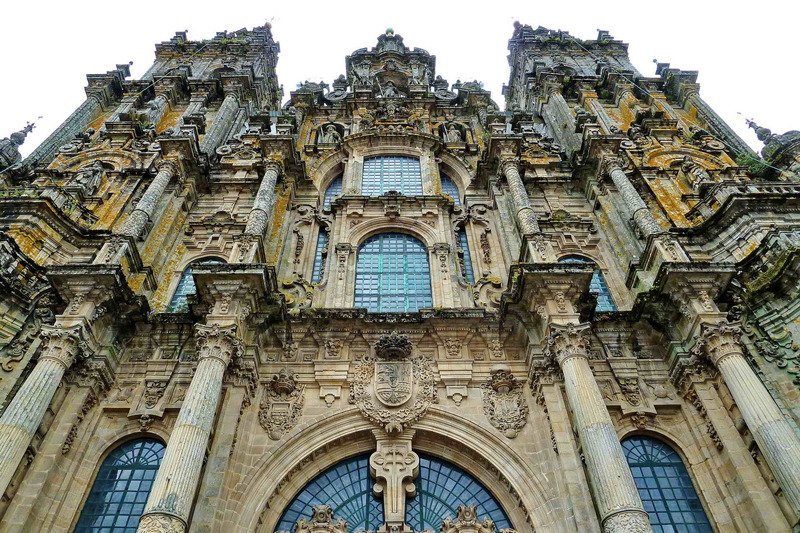 It is a way covered by thousands of pilgrims since the 9th century, when Saint James’ remains were rediscovered in the place known today as Santiago de Compostela by the hermit Pelagius. 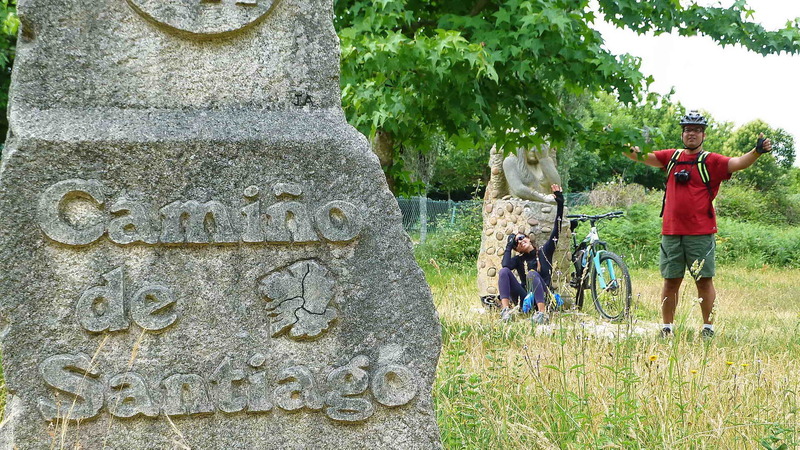 There is more than “one” way (“camino”) to Santiago because over the centuries different ways were covered by pilgrims whose aim was to get to Saint James’ resting place. 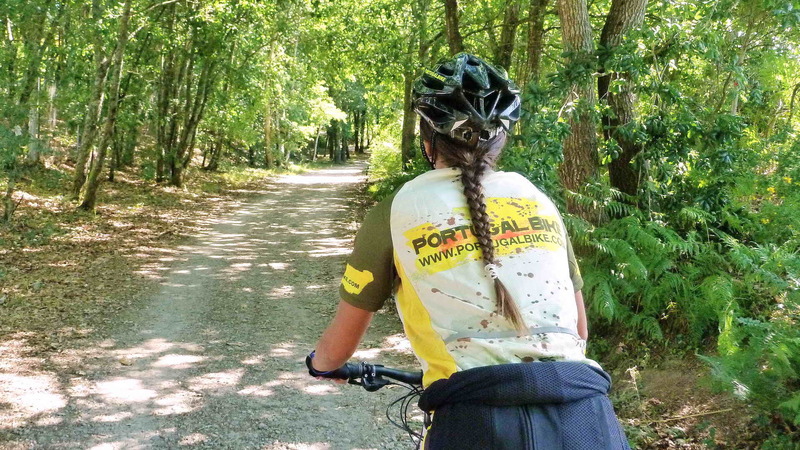 We follow the Portuguese Way. This also has some variations, such as: the Coastal Way, the Medieval Way, the Central Way and the Royal Way. 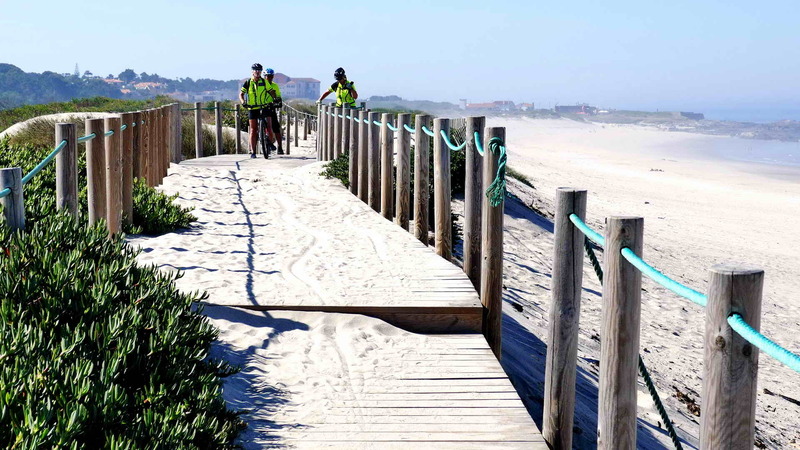 We follow the Coastal Way with the Medieval Way, because it is the most scenic and beautiful of the Portuguese Ways. 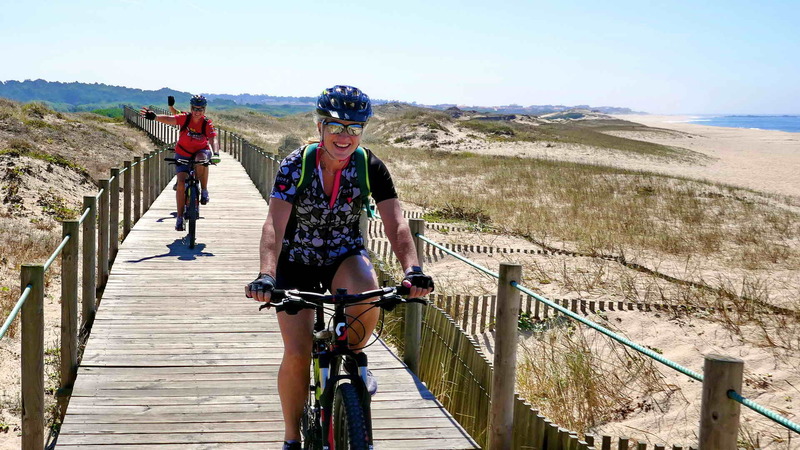 Cycling the Camino de Santiago is a 7-day stunning tour from Porto (Oporto – known by its famous Port Wine) through seaside Atlantic villages and sandy beaches until we get to the Spanish border. 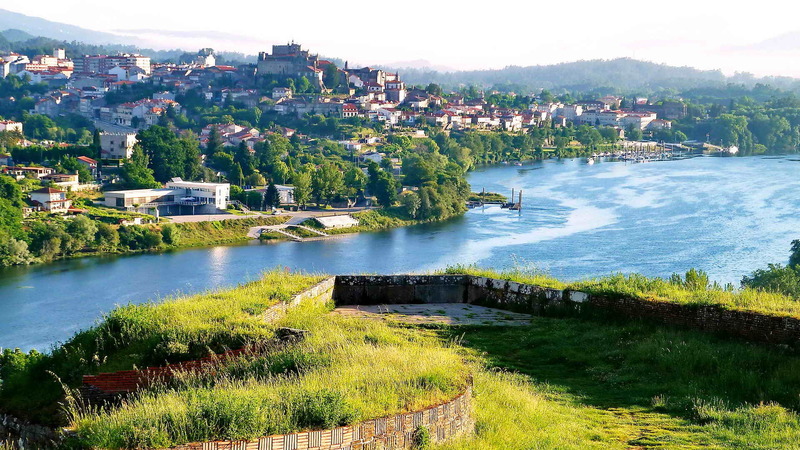 Then we continue along the Medieval Way, through ancient Roman roads, medieval towns, dense woods and centuries old pilgrims’ footpaths en route to the UNESCO World Heritage Site of Santiago de Compostela. 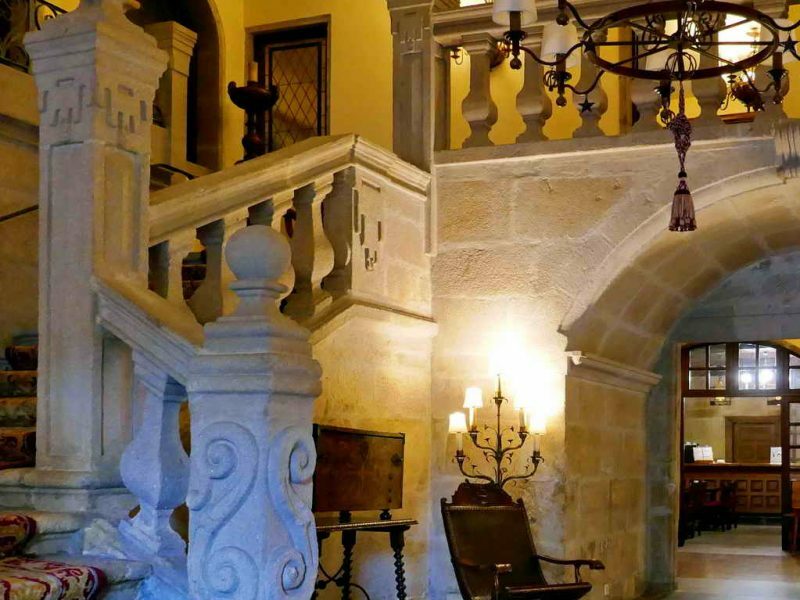 As the day comes to an end, relax at gorgeous and magnificent Castles, Palaces, Monasteries and Convents that were once inhabited by the clergy or the Queens and Kings and now are converted into exquisite lodgings. 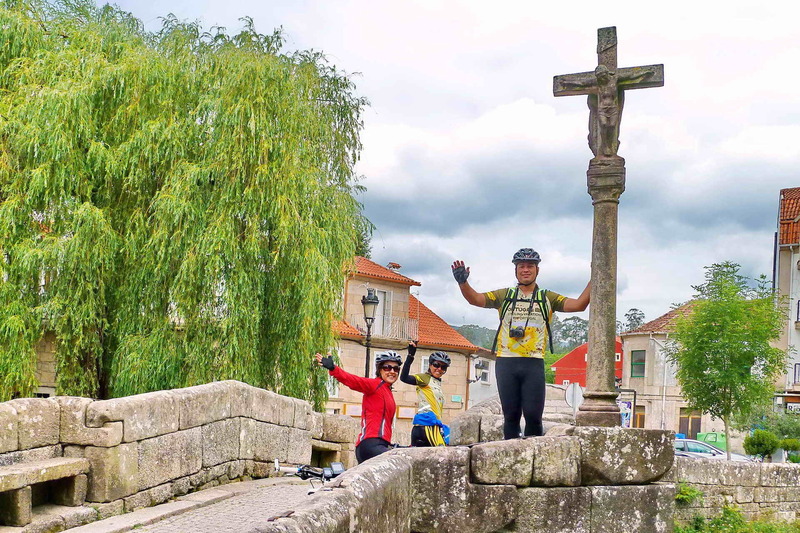 To complete this adventure (for religious reasons or not) you should previously get the Pilgrim’s Credential (Portugal Bike Tours will get this for you in advance). A pilgrim must get at least two stamps per day; you collect the stamps along the way at the hotels, restaurants and churches. 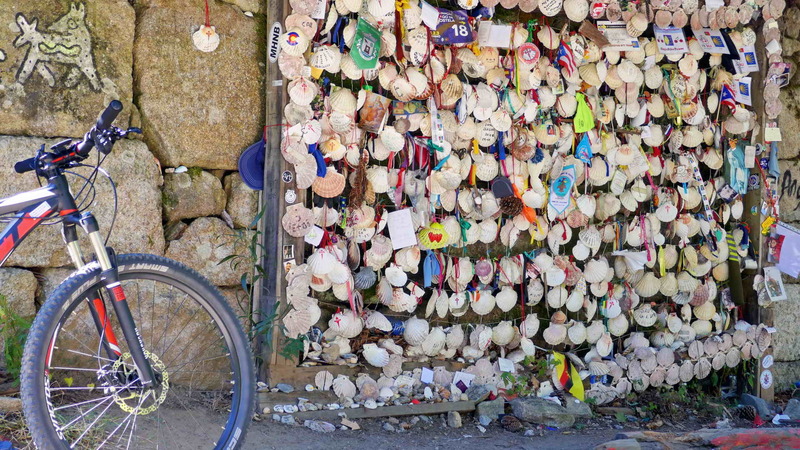 When you get to Santiago you go to the Pilgrim’s Office and show your Credential with all the stamps to prove that you did cycle The Camino (minimum of 200km biking). You are then awarded the Compostela, a document with your name written in Latin that certifies that you completed the Camino! 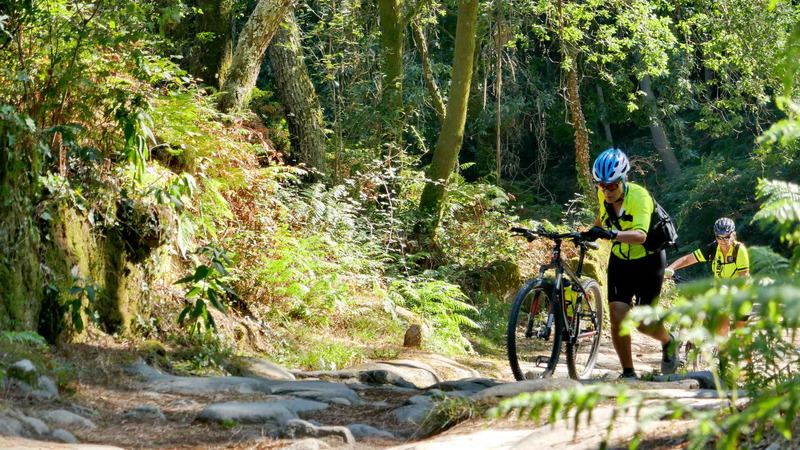 If you wish to cycle The Camino de Santiago, you should use a mountain bike! 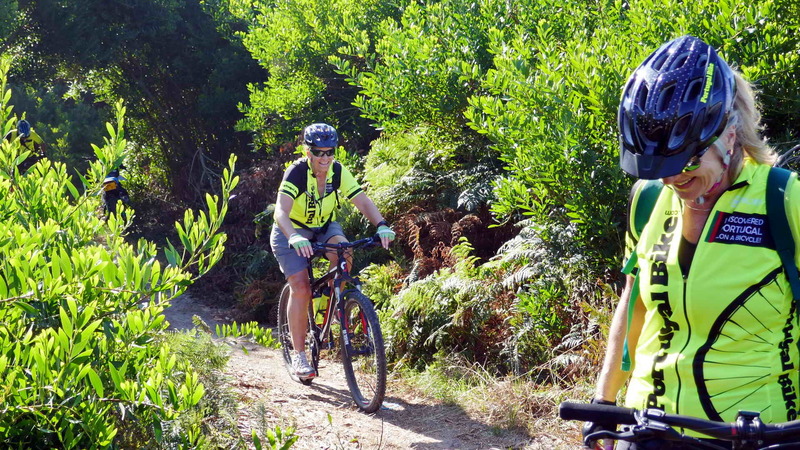 We will ride sometimes on asphalt, other times on bike lanes, wood lanes along the beaches and some dirt roads, or even some single tracks and rough trails. 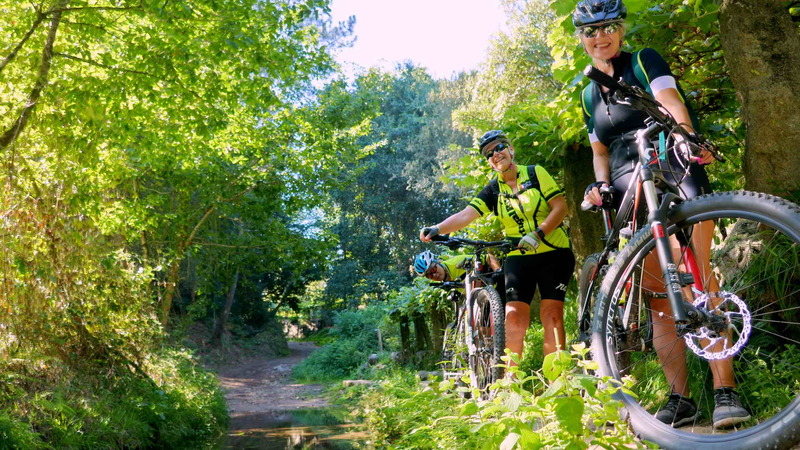 The mountain bike’s thicker tires and better grip will help you to get the necessary comfort and balance when you have to cross Roman bridges that are more than 2000 years old. The overall difficulty level of this tour is 3, Intermediate (more precisely, level 3.2 between 1~5). It is recommended for “bikers” and “cyclists”. It is supposed that you are in good shape. 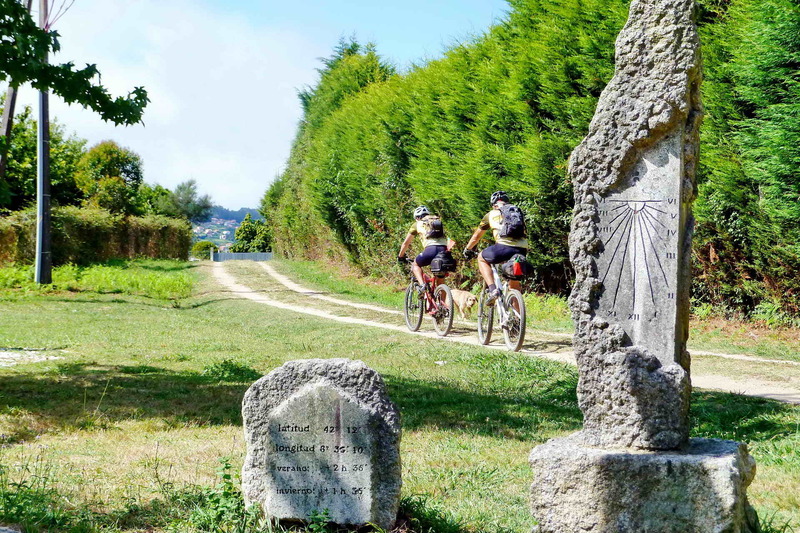 There is a well-known sentence that helps us to understand what really is The Camino de Santiago and it says something like this: “It is the Way itself that changes our lives, not the goal”, i.e. 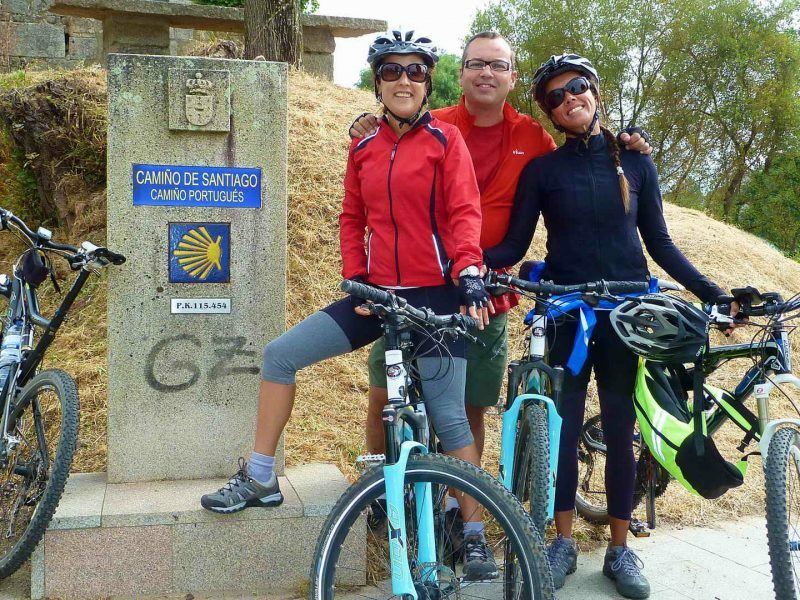 it is by cycling The Camino and overcoming the daily difficulties that our inner self is changed, and not the fact that you get to Santiago de Compostela. 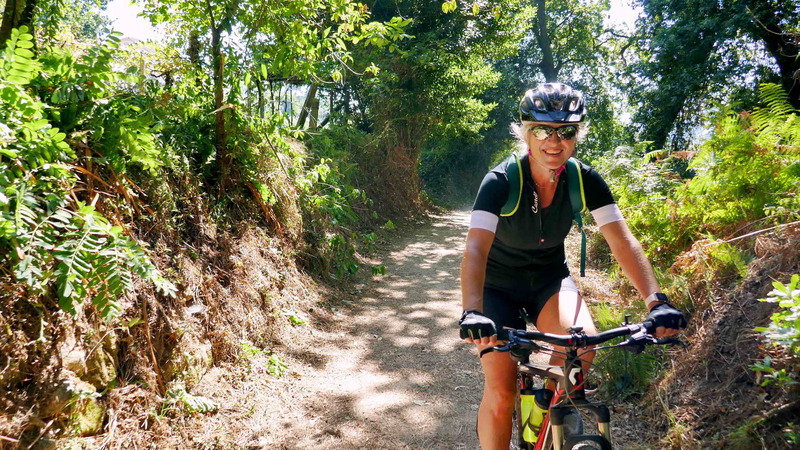 Cycling the Camino is giving a bit of yourself! …It is something different, …it is really an experience! 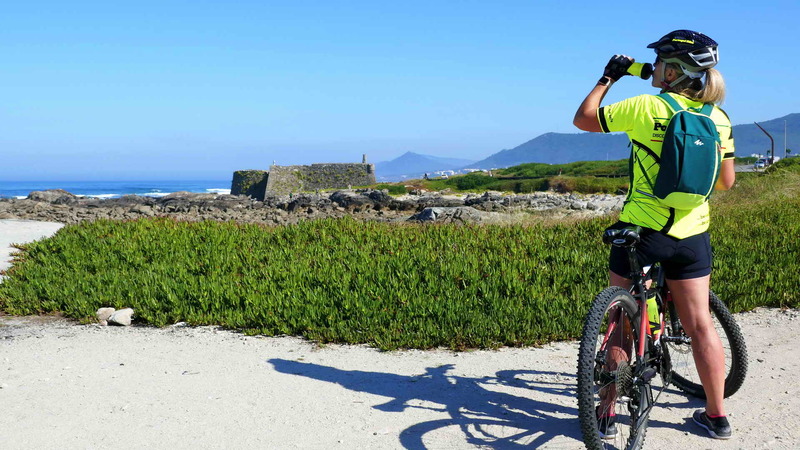 7-day Mountain Bike Tour with a Guide | Superior quality bicycle rental | Transfers from and to Porto or Lisbon Airport | Accommodations (6 nights): 1 Pousada (one 17th century Fortress), 1 Parador (a former 16th century Palace), 3 four* Historic Hotels (one 16th century Monument Hotel, one 18th century Historic building and one 16th century Manor House), 1 four* modern Hotel | Double bedroom occupancy | 6 Breakfasts | 3 nourishing and energetic picnics | 6 Dinners (including our famous wines and lovely desserts) | Daily energy-bars and water | Luggage transport from Hotel to Hotel | Documentation about PortugalBike Tour | Personal Accident Insurance and Liability Insurance | First-Aid assistance on location | Techno-Mechanical Assistance | Permanent Backup Vehicle | Pilgrim’s Credential. 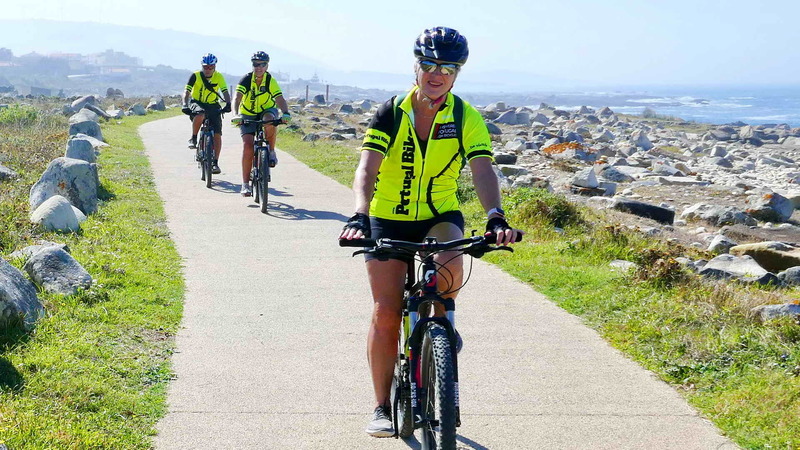 Longer tour: You can join two PortugalBike Tours and have a 2-week program (10% discount on the second tour) | Groups: Discount for Groups of 4 or more people | If you wish a different date, ask us for prices and availability. Welcome at Porto or Lisbon airport. 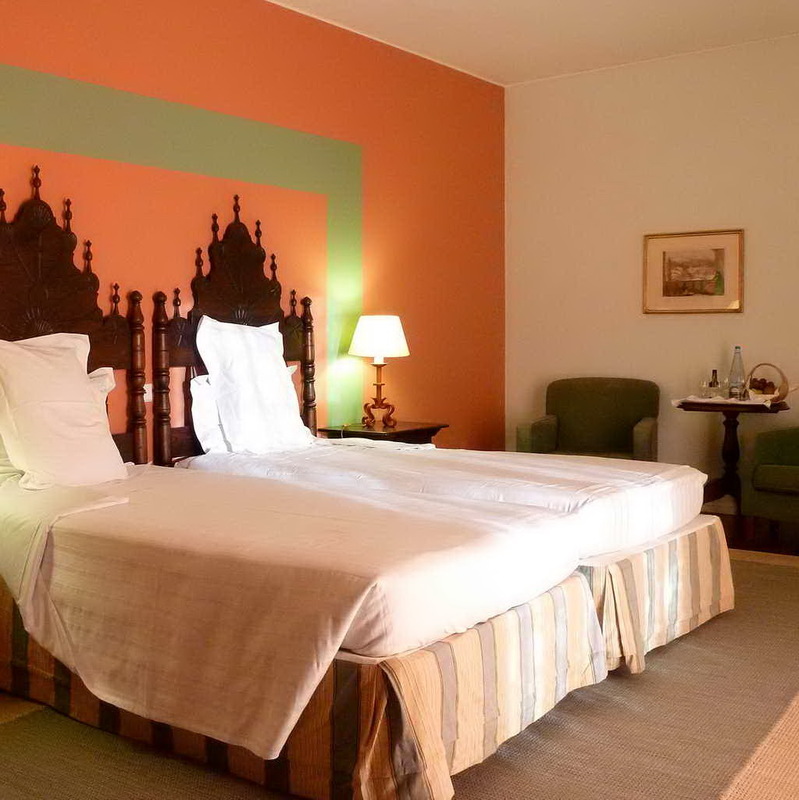 Transfer to a hotel in Porto (20-min from Porto airport, or 3-hour from Lisbon airport). Briefing about the tour. 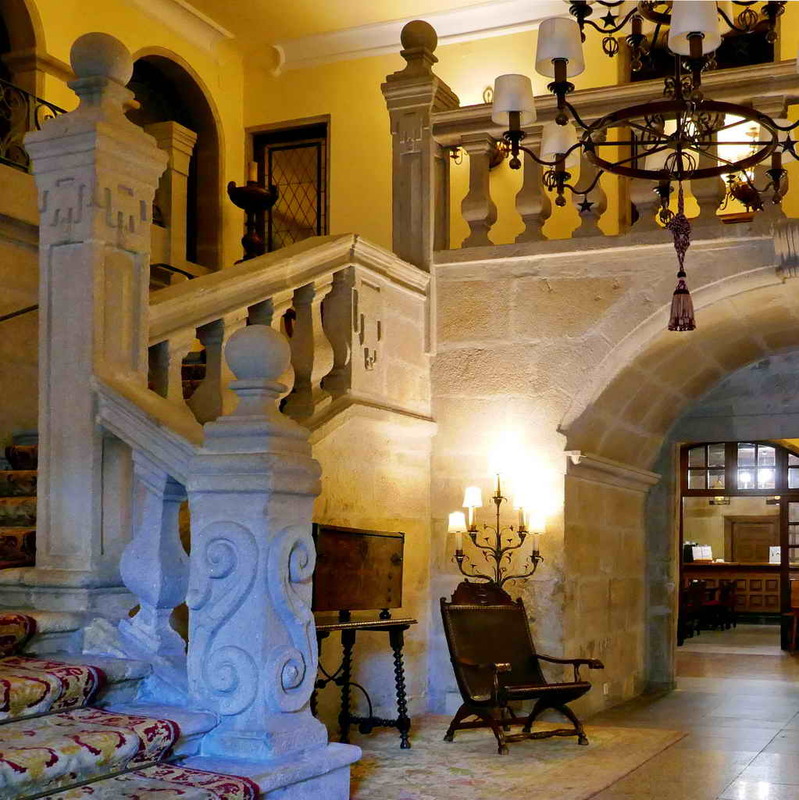 Lodging in a 4* hotel. 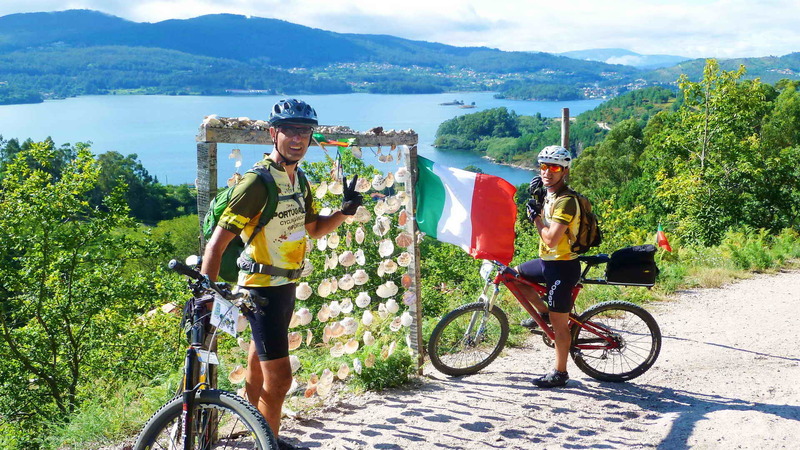 87km (54mi), 490m total climbing (1610ft), level 4 (3.5). After breakfast we leave the ancient city following the ways covered by the pilgrims until we get to the historic town on the coast. 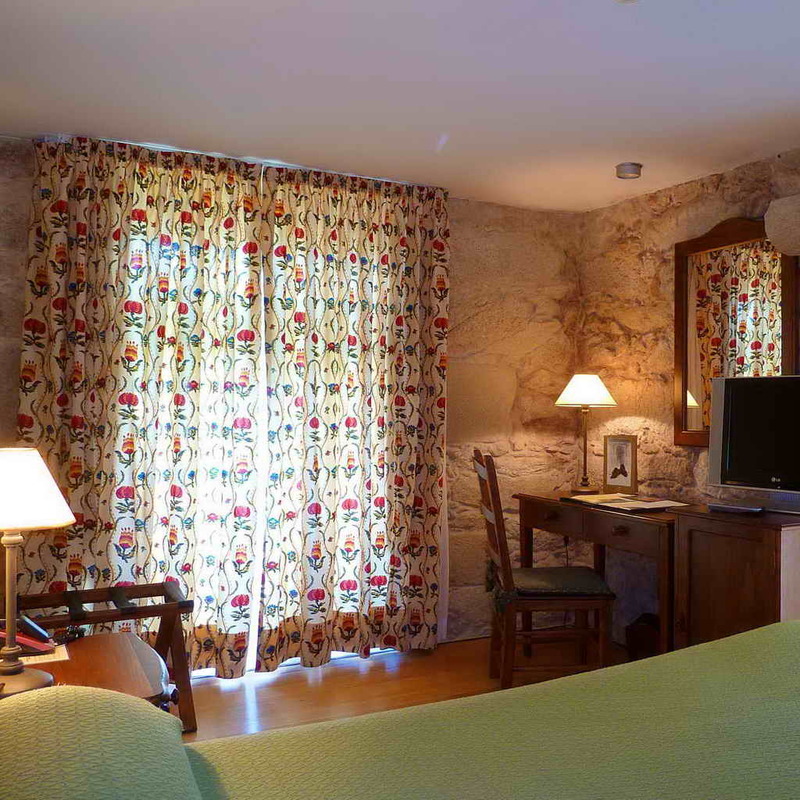 Lodging in a historic 4* hotel in the historic center of this small town. 60km (37mi), 400m total climbing (1310ft), level 3 (2.8). 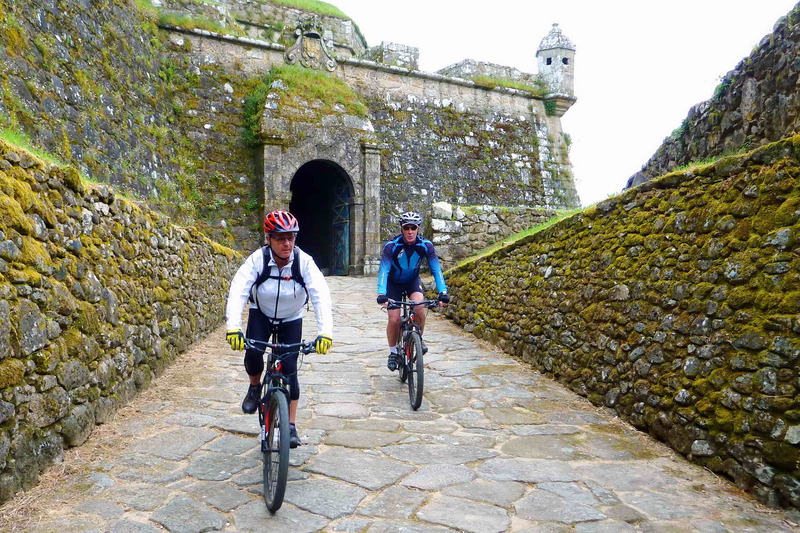 After breakfast we continue riding along the Portuguese coast towards the Spanish border, but we spend the night in Portugal, in a beautiful medieval town near the border, which is protected by a fortress with double walls. 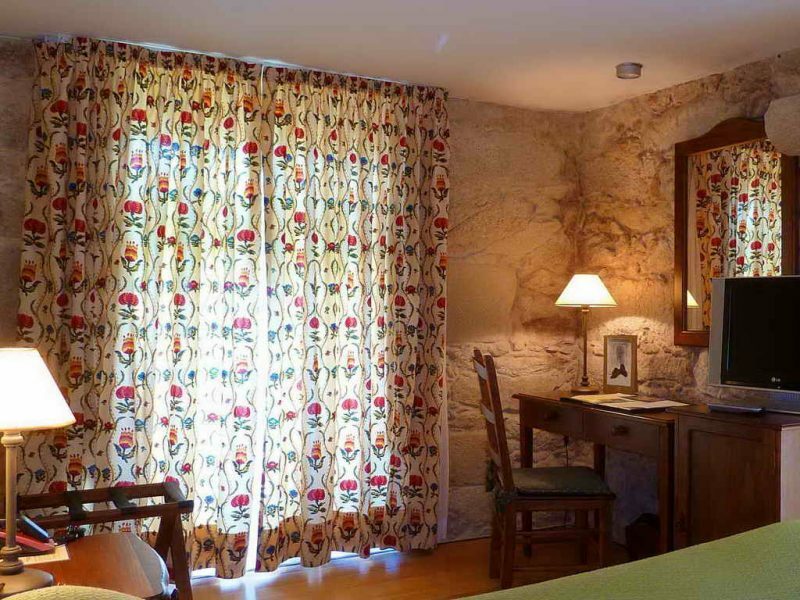 Lodging in a Pousada which is set on the highest place of the old fortified area of this town, with a great view over Spain. 55km (34mi), 1400 total climbing (4590ft), level 4 (4.3). After breakfast we finally cross the border. 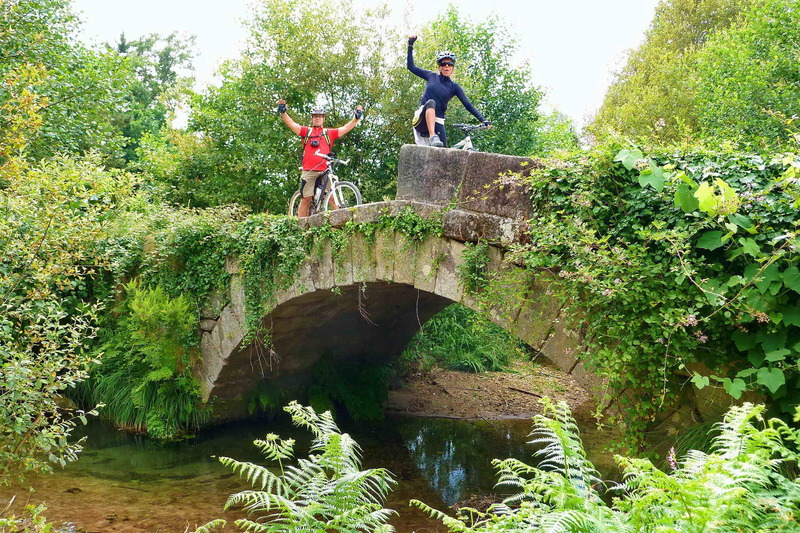 We continue along The Way and we will ride on some old roman tracks (older than 2000 years) and medieval paths until getting to the next town. 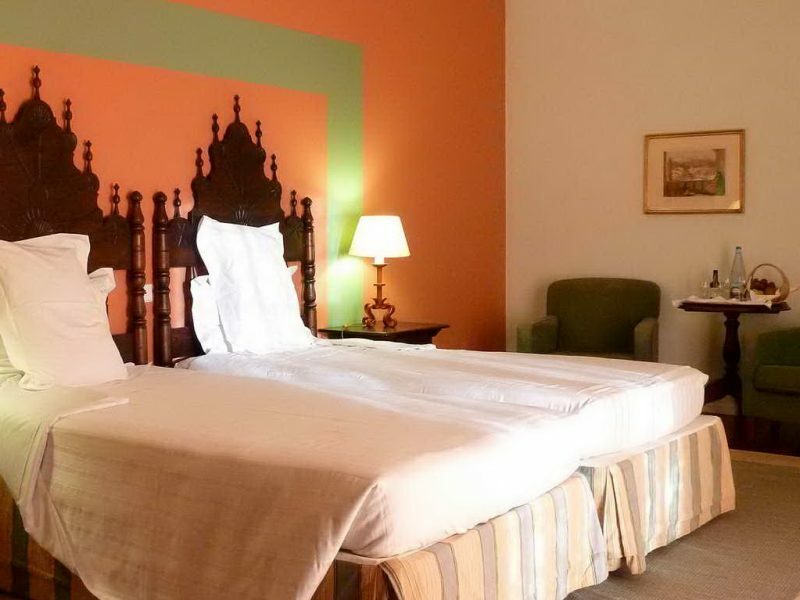 Lodging in a Parador, a 16th century palace, near the historical and commercial center of the town. 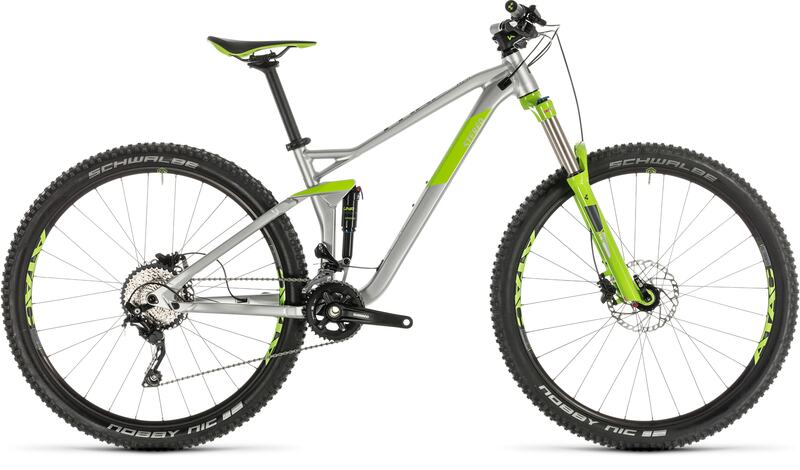 40km (25mi), 800m total climbing (2630ft), level 3 (3.1). Breakfast. 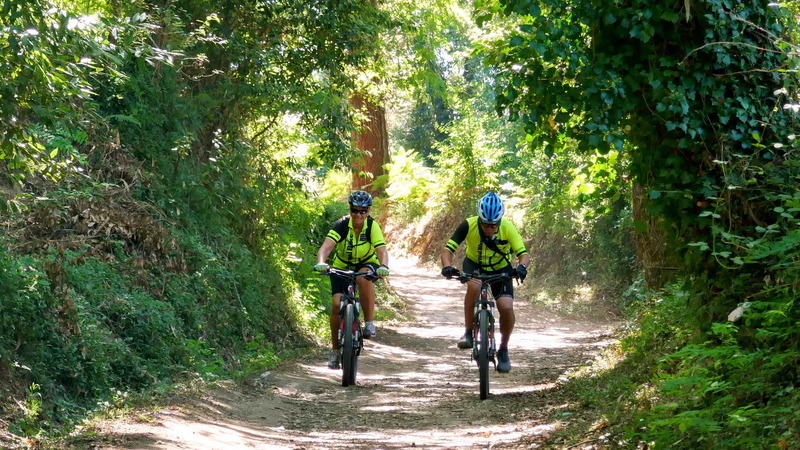 Before we get the next Spanish town we cross the thick woods with a luxuriant vegetation. 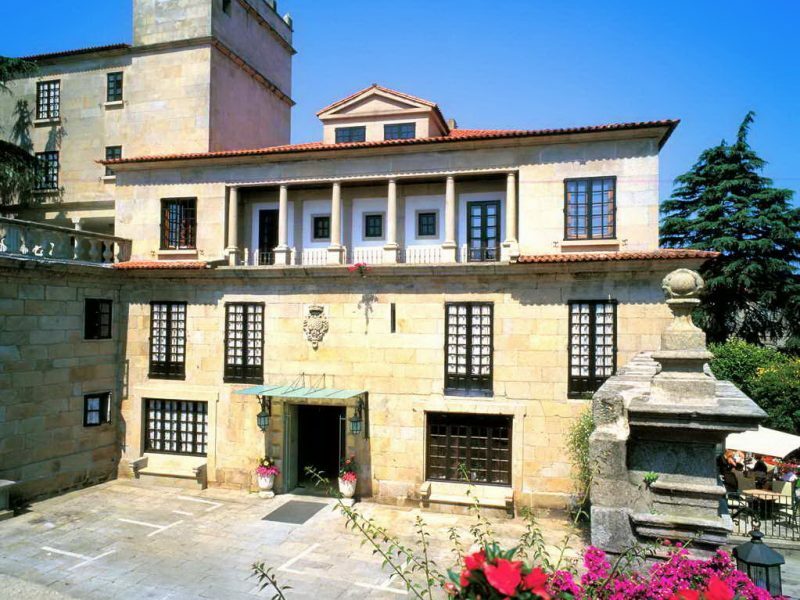 Lodging in a 4* hotel with a swimming-pool; the building was built in the 16th century and it was the vacation house for the archbishops from Compostela. 27km (17mi), 800m total climbing (2630ft), level 3 (2.5). Breakfast. 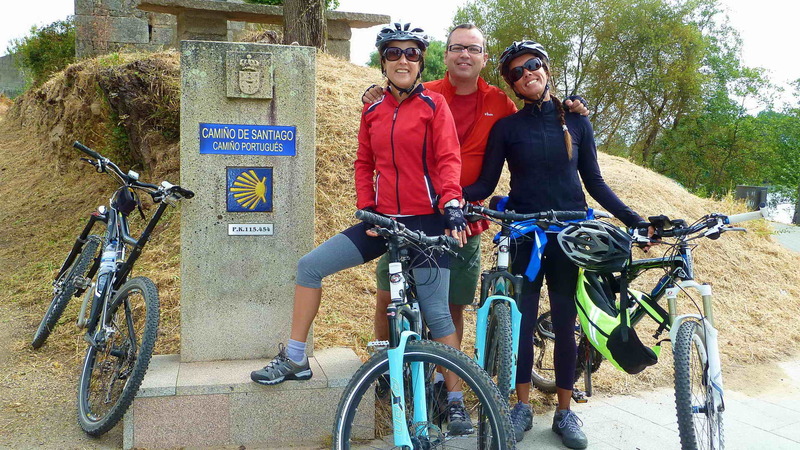 Finally, we get to Santiago de Compostela and we feel we accomplished our “mission”. Free afternoon to wander around this mystic city and do some shopping. 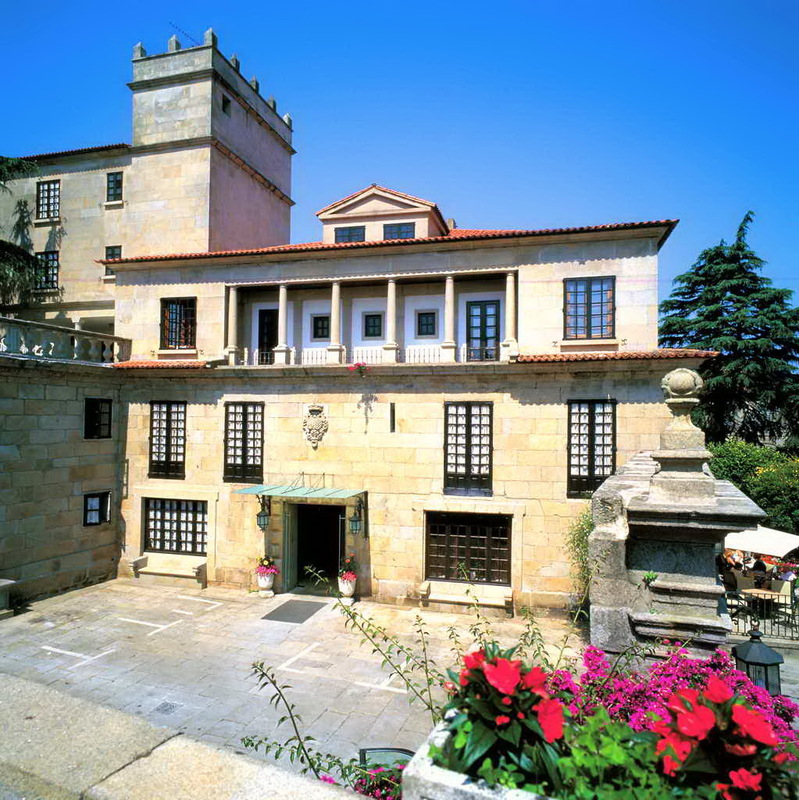 Lodging in a beautiful 4* hotel ideal to rest after this long ride and very near to the historical center of Santiago de Compostela. After breakfast transfer to Porto (2-hours and 30min) or Lisbon airport (5-hours and 30 min). 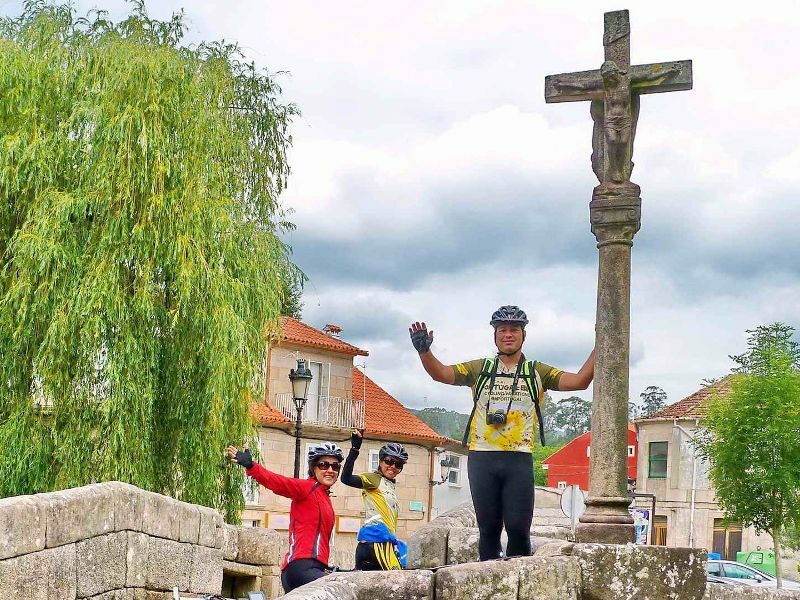 There are many Camino de Santiago: there is the Portuguese Way, the English Way, the French Way, the Finisterra Way, the North Way, the Sanabria Way, the Silver Way and the Primitive Way.